When there were no various conditioners, extracts and other systems, people used the natural laws of nature to ventilate the rooms. Natural ventilation was used in ancient civilizations. Her samples can be seen in ancient temples, palaces and castles. Today's modern materials impose some restrictions on the creation of such systems. 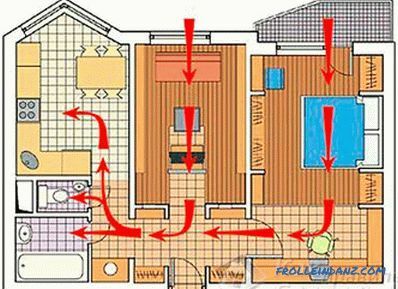 However, if you take up the arrangement of ventilation at the design stage of a house, you can organize a full-fledged system for updating air masses. 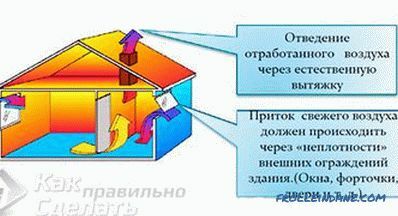 The natural ventilation device should be oriented towards two factors: pressure and temperature. The cold air is always down. Cold air masses tend to crowd out warm ones. to leave the outgoing channels to remove waste air masses from above. Natural ventilation in the private The house has its undeniable advantages. 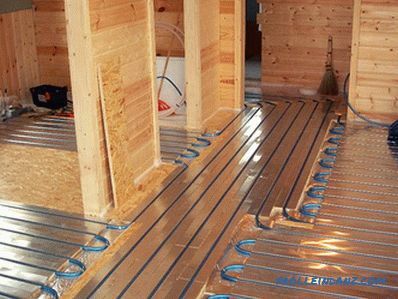 Device In contrast to the methods of forced ventilation of rooms, natural systems operate without any cost of electricity. They do not need expensive equipment. In addition, natural ventilation always functions, even when no one is following it. This provides a favorable indoor microenvironment. If necessary, the natural ventilation system can always be supplemented with elements of forced exhaust. At the same time, such elements will be needed in minimal quantities, which will save on equipment and electricity. 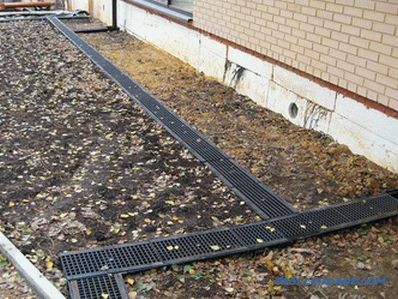 Maintenance of natural systems does not require expensive equipment and repairs. You can correct the system and troubleshoot problems that arise on your own. This is also a significant savings. The natural ventilation of the house also lasts as long as the house itself, if it is cleaned in time. And of course it is an integral part of the design. Often when designing a house, the arrangement of ventilation ducts is described only in general terms. And this leads to the fact that during construction the system is done incorrectly, without taking into account the intricacies of air exhaust. Thus, formally, there is ventilation, but in reality it is absolutely not functioning. The following are the most common shortcomings in the construction of ventilation ducts and pipes. Air Circulation The ventilation grille is low. The upper exhaust grille is designed to expel warm exhaust air through it. It should not be located below 10 cm from the ceiling. In reality, the grids are often much lower. Because of this, the system actually does not work. Exhaust air simply stagnates under the ceiling. When designing a two-story house, ventilation on the second floor of a building is often not planned. This is wrong and violates the whole principle of the system. Common ventilation channel for two rooms of the apartment. Ideally, each room should have its own channel. Because when arranging one thing in common, air movement can often occur not so much outward, as between rooms. This is contrary to hygiene standards. 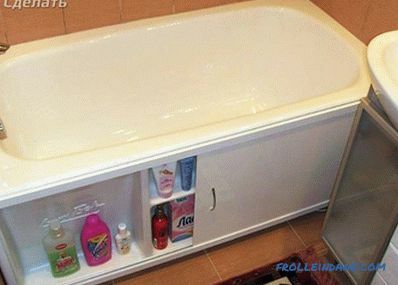 It is especially important to make your own hood for such areas as the kitchen, bathroom and toilet. The outlet pipe draws air in instead of releasing it. This can occur due to the fact that the roof slope is equipped incorrectly. With a thorough and thorough design of the ventilation system, such parts are necessarily taken into account. The fact that the hood works the other way around is not uncommon in modern conditions. 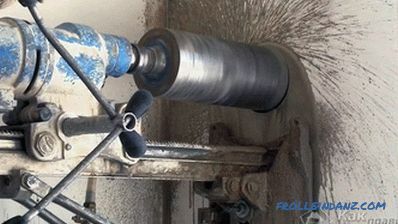 In order to correct such shortcomings, it is necessary to install special devices on the pipes. Also often problems arise due to insufficient pipe length. If it is short, the effect of the hood will be negligible. Another point - the wrong choice of place for the exhaust pipe. In areas such as the kitchen, bathroom and toilet, there must be a natural ventilation system. In reality, most often in these places only artificial hoods are installed. This creates a dependence of the microenvironment of the premises on the availability of electricity and human presence. If you do not start the system, the air will immediately become stagnant. It should be remembered that such an environment is bad for not only people but also for materials. Horizontal position of the exhaust pipes. 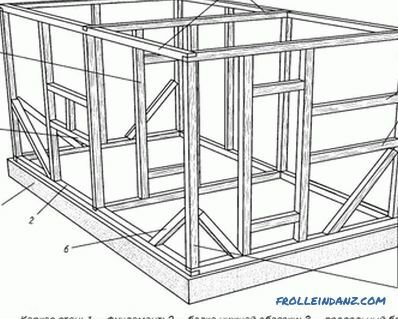 Before making natural ventilation, it is necessary to make an exact calculation and drawing of the channels. They should be strictly vertical. The only deviation that is permissible is an angle of not more than 35 degrees.Horizontal ducts lead to air stagnation. In order for them to function effectively, a fan installation is required. 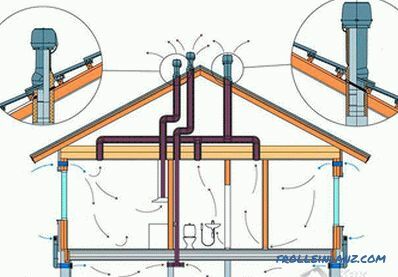 Ventilation of a two-story house Cold exhaust pipes. Ventilation pipes must be warmed. The greater the difference in air temperatures outside and in the channels, the more efficient the exhaust will work. 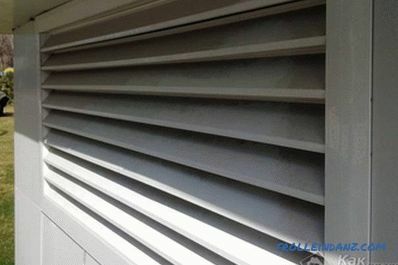 In the cold season, the channels may freeze and ventilation properties will deteriorate. A fireplace may interfere with the exhaust system if it is not provided with air. The lack of oxygen will cause the fireplace to pump it out of the exhaust pipes. Installing stoves and fireplace systems requires careful refinement of ventilation. 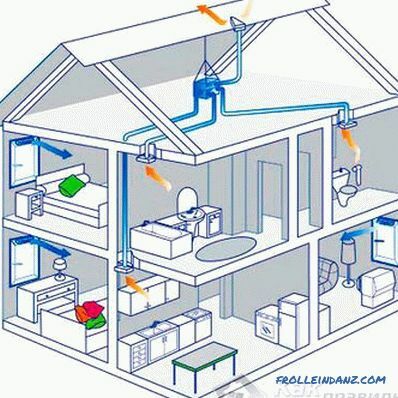 If such a system is being built in a room, then it is urgent to make a dedicated ventilation pipe in the room. This will provide the room with clean air and the fireplace with fresh oxygen. The tightness of modern window and door systems is a real punishment for the natural ventilation system. In old houses, the natural ventilation scheme included window slots and doorways. With the advent of hermetic plastic windows, these sources of air can be safely crossed out. Nothing comes through the windows and doors to the room. The owner of new plastic and metal-plastic windows at first is pleased that now no foreign smells and drafts enter the house. However, over time, another side of such systems is found: stagnant air masses accumulate in the house. Incorrect air circulation. In some rooms, the air goes from more polluted to less polluted areas (from the toilet and bathroom to the rooms). In some cases, the path of air masses is so complicated that the air simply does not have time to reach the ventilation system. Installed plastic windows disable the ventilation system that used to be. To remedy the situation, you can install overhead ventilation valves. All this is a design error. Another mistake is when internal doors are not taken into account. The calculation of natural ventilation must necessarily be based on interior doors and partitions.